1. 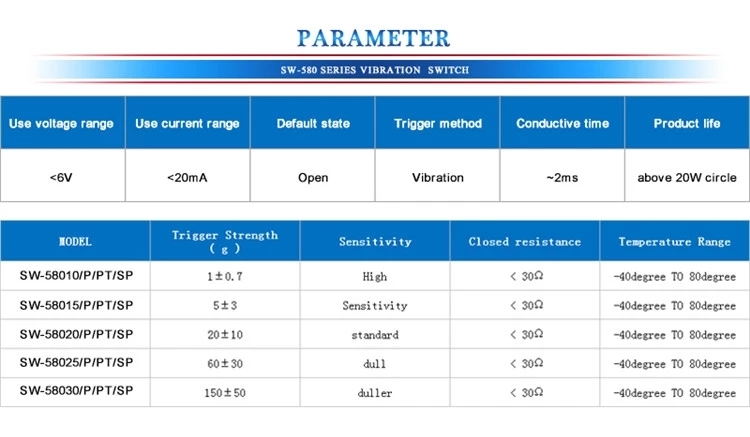 SW-580 series is a spring type non-directional vibration trigger switch. 2. When the product is at rest, it is in the non-conducting (OFF) state. When the vibration reaches the triggering force required by the switch itself, it is instantly switched to the ON state. When the vibration stops, the switch returns to the non-conducting (OFF) state. 3. SW-580 series offers five sensitivity options, suitable for a variety of products. 4. 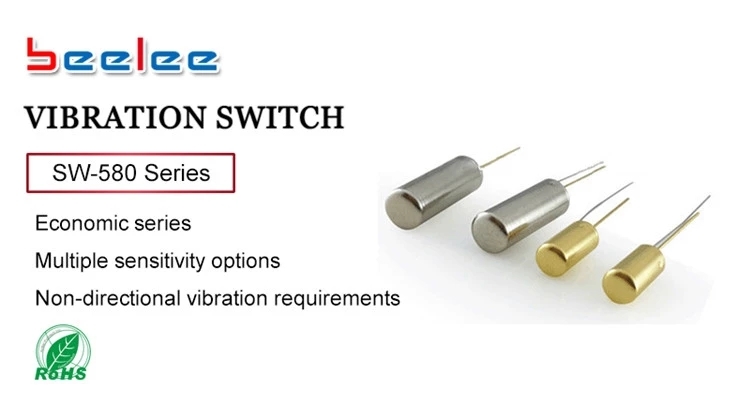 SW-580 series is a metal vibration switch, the package can be sealed/unsealed.